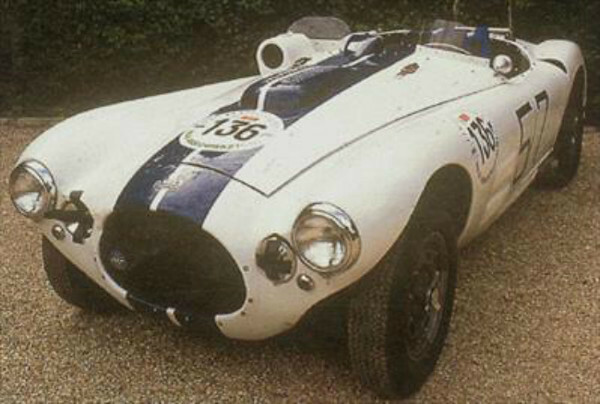 In the early 1950s Briggs Cunningham made America's presence felt at Le Mans by fielding his own sports cars, the C4r. Specifications performance: Top speed of about 160 mph engine typedrivetrain: Overhead-valve, v8 displacement 331.1 cu. In. (5.4 l) power rating 300 hp transmission 5-speed, all-synchromesh chassis: Coil-spring suspension, independent in front; 2,410 lbs. Source: http://www.carhistoryclub.com/files/cunningham_c4r__19521954.htm.